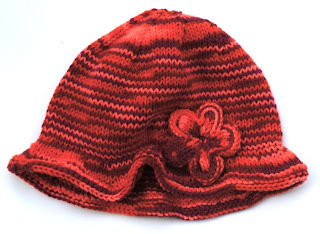 The goal of Tête-à-Tête Hats is to provide handmade hats free of charge to chemotherapy patients, hospitalized infants and children, and others in need of head coverings. 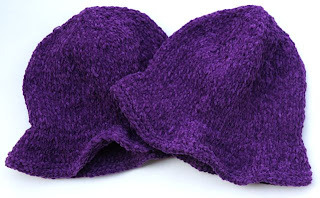 If you have received one of my hats, please email me at tete.a.tete.hats@gmail.com to let me know if you are enjoying it! 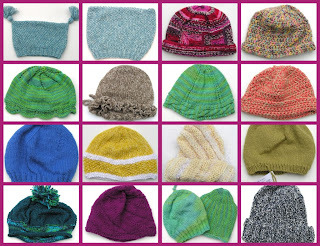 If you know if someone who needs a hat, please email me. You can also leave me comments on this blog. Just sign my guestbook by clicking on the pink "post" button and follow the directions. I would also love a photo of you wearing your new hat if you would like to share one. I welcome your contributions! 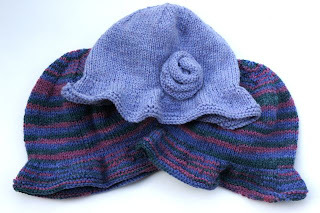 If you would like to make a yarn or hat donation, please email me or leave a note in the guestbook. 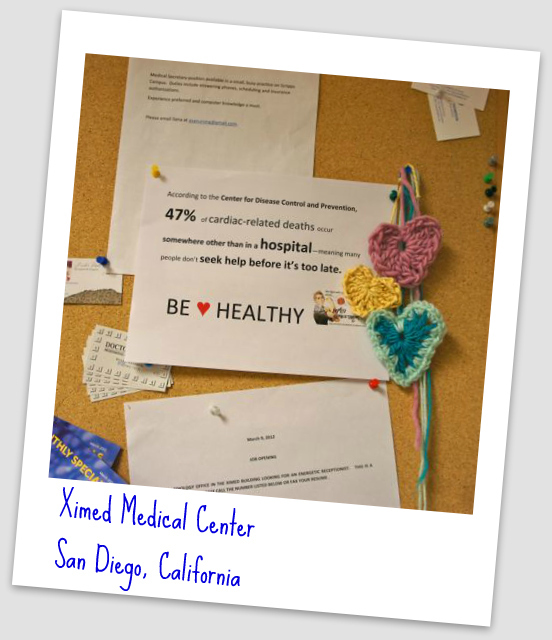 I am happy to make sure that your donation finds a home with someone in need. Be sure to click on "older posts" at the bottom of this page if you want to see more hats and more info. I just received this nice letter from C. I recently donated quite a few hats to Scleroderma patients. 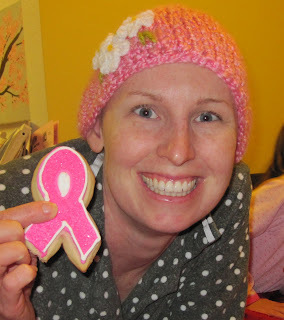 C. is almost finished with a transplant that she is receiving as part of a clinical trial. I am anxious to hear about the results and will post more information as soon as it's available! Thank you for what you are doing. I am a Scleroderma patient from________. 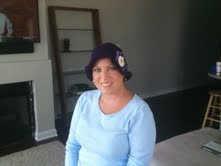 I just received several of your hats from my fellow Scleroderma patient and friend. It was a really bright spot in an otherwise tense and challenging time. Thank you! I am in ________, participating in a clinical trial for auto-immune diseases where I'm getting a stem cell transplant. I'll be here for two months. It's cold! I'm losing my femininity as I lose my hair. I'm worried how my family and friends will treat me as I "get ugly" during this process. Your adorable hats let me feel like myself! It's not my blond hair, but it is a chance for my face to shine and not be overwhelmed by the odd baldness. It's wonderful! I believe attitude is everything while undergoing stem cell transplant. I'm doing fine on that front! Now you are part of that. 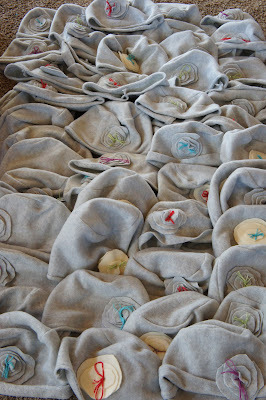 I'm preparing to deliver a large hat shipment to the office of Sabina Wallach later this week! Please email me at shelleygerber1@gmail.com if you are in need of a hat! I have lots more and would love to send one to you. As always the hat and shipping are free to anyone who needs a hat. "Armed RevolutioKnits consists of students of the Claremont Colleges who have decided to express discontent with the maltreatment of women worldwide and promote positive social and political change through the art of yarn bombing. We are reclaiming the art of knitting from its normal domestic connotation and transforming it into a display we hope can change the world and empower women. Yarn graffiti is similar to regular graffiti in several ways. Most graffiti attempts to reclaim a public space for artistic and political expression and bring color to areas where there is none. Unlike other forms of graffiti, however, yarn graffiti (“yarn bombing”) does not actually damage property and can be easily removed. It’s also an art form that is generally associated with the domestic, so its use as graffiti is a twofold social provocation. People may be surprised by the yarn graffiti disrupting the world around them, but we feel that this is the purpose of graffiti in the first place. Our yarn graffiti interrupts the normal environment by adding color and texture and by bringing to the surface issues that we feel should be discussed. Just because we don’t necessarily want to see something doesn’t mean we shouldn’t acknowledge that it is important. We do not want to be offensive or accusatory, but would like to promote a dialogue about the issues that we raise." At the end of last year, I helped out the people at Armed RevolutioKnits with a couple of projects. 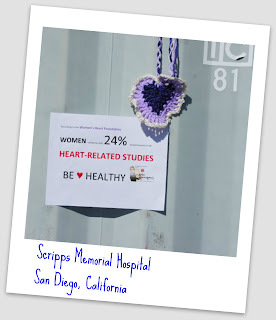 One project involved knit/crochet hearts and was geared toward raising awareness about women's heart health. The other project involved knit/crochet "ties" and promoted women's involvement in government. 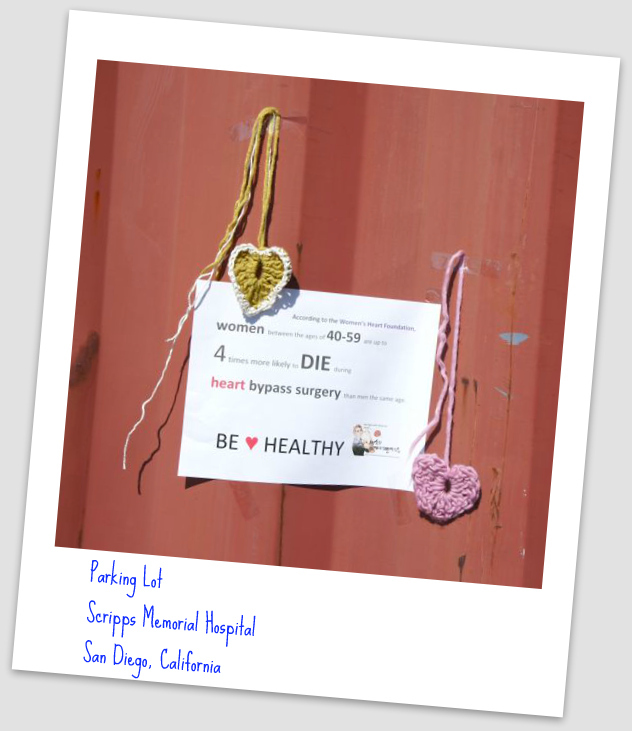 I donated hearts and ties that I designed and created and I also posted information and hearts/ties around San Diego. I am featured on their blog right now. Have a peek! I'm looking forward to continuing to work with Armed RevolutioKnits this year and in the future! 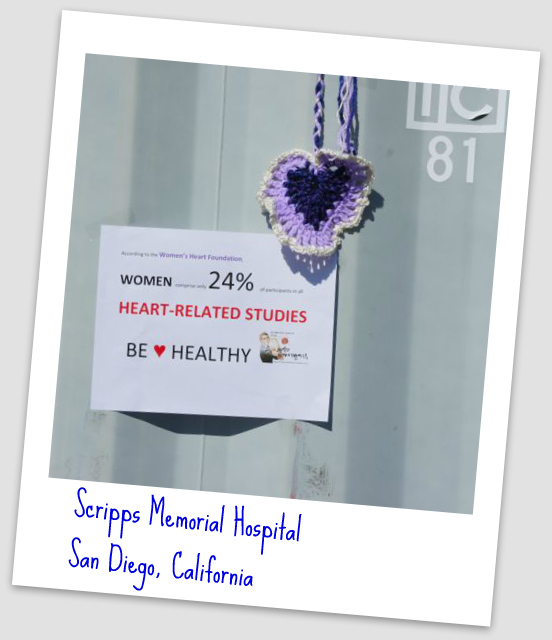 Today, 30 hats were delivered to Dr. Sabina Wallach's office. Last week, I visited the University of Toledo Medical Center and had surgery to implant a cardiac loop recorder. It will help my doctors decide how to proceed with my treatment. The summer is speeding by! 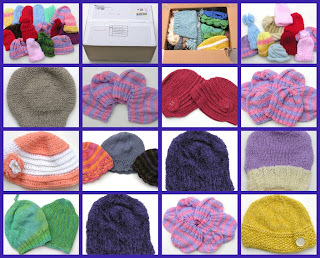 Today, I'm sending off a box of hats to Hats for the Homeless in Hackensack, New Jersey. 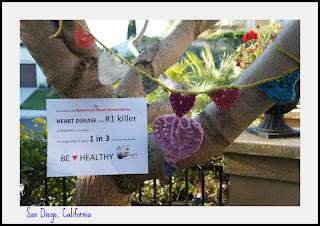 Thanks San Diego North Coast Knitters Guild! 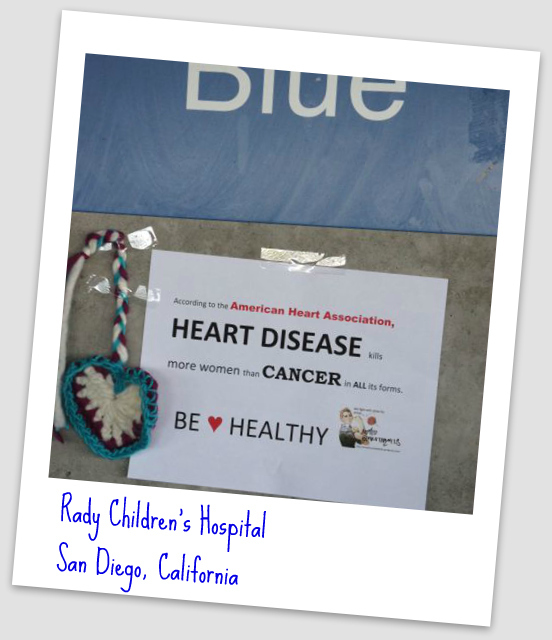 Thanks to the San Diego North Coast Knitters Guild, 103 beautiful hand knit hats will be donated to those in need! 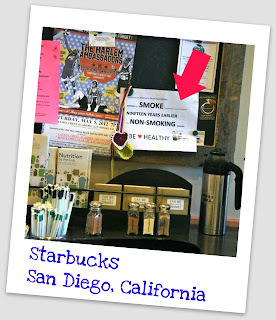 Today I had coffee with Linda, who is head of philanthropy for the San Diego North Coast Knitters Guild. It was great to see her again and get to know her a little bit better. She brought 103 hats that will be distributed across the nation by Téte â Téte. Each one of these hats was knit by a kind person who wants to help others and I am grateful for every single hat. 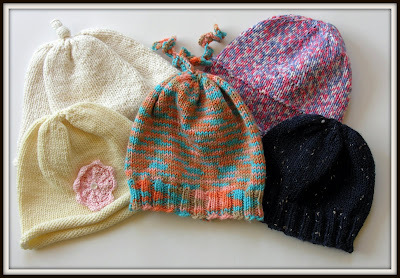 The hours that it takes to choose or create a pattern, pick the yarn, carefully knit and finish each hat show that a lot of care goes into each and every hat. 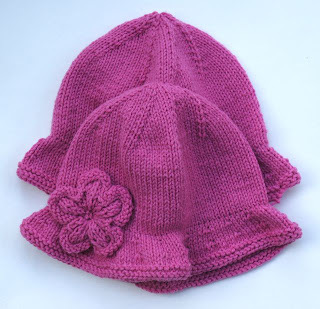 I know that the people who receive the hats will be even more grateful than I am for each knitters generous donation of their time and energy. It has been a while since I have posted, but I wanted to let you know that the hats are still being produced and donated on a regular basis. My friend Emily and I started a club of students at my school to increase donations because the demand has been so great. 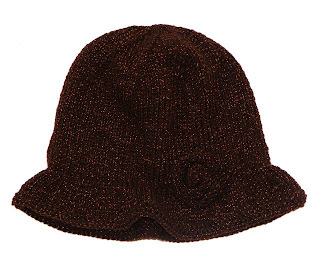 The club has not donated any hats yet, but watch future posts for more information. Currently, we are teaching knitting/crochet to students and holding planning meetings. The number of people with cancer will never cease to amaze me and I am so grateful to be in a position to help in this small way. Please feel free to contact me if you are in need of a hat or would like to help knit (or donate a a hat or hats) to those in need. The hats are always provided free of charge and shipping is included. 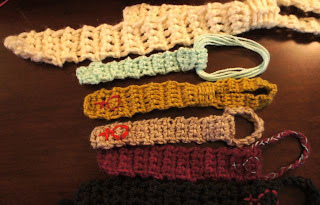 I can also provide yarn to anyone who would like to knit or crochet for us. 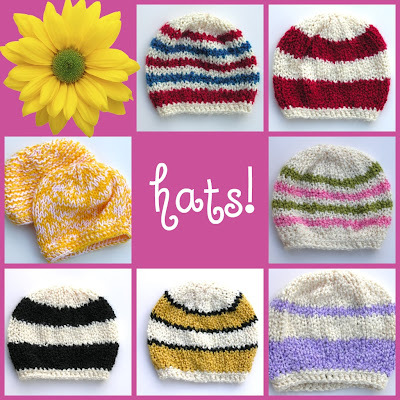 This week I was interviewed by http://www.ahamoment.com/ for my work with Tête-à-Tête Hats! My sister Paige and 14 of her friends helped put together a box of 85 soft fleece hats to be donated the Hope Lodge in Cleveland, Ohio. I am waiting (patiently) for an appointment with Dr. Blair Grubb (a POTS specialist) at The Cleveland Clinic, so that's what made me think to call and see if they needed hats. 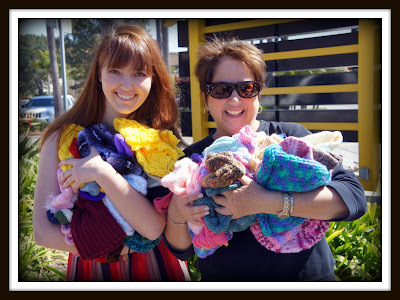 They were very happy to accept all 85 hats, which will be distributed to various Hope Lodge locations. Hope Lodge provides free housing for cancer patients who are receiving treatment at The Cleveland Clinic. 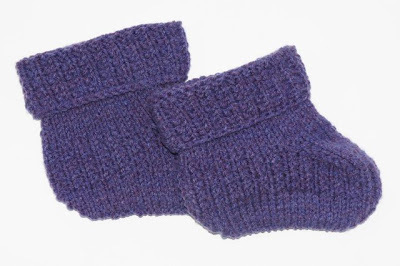 I have had many requests for socks or slippers to keep patients' feet warm during chemo sessions. Jay came up with these adorable super stretch booties. They are warm, cute, and they have Jay's loving touch. 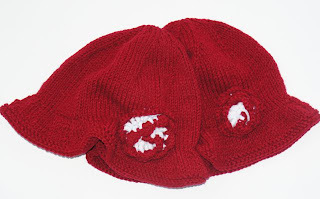 Please email me at tete.a.tete.hats@gmail.com if you would like a pair! Fall is finally here and with it comes a new palette of colors. 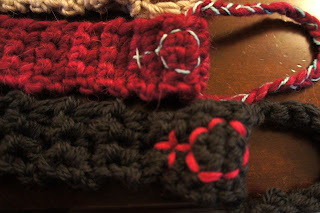 Jay, my friend and neighbor, has been knitting furiously to help beef up the selection of hats. I have so many requests and it's important to me that each hat has a personal touch. Here are some great additions that Jay brought over today. Right now, they are all up for grabs. 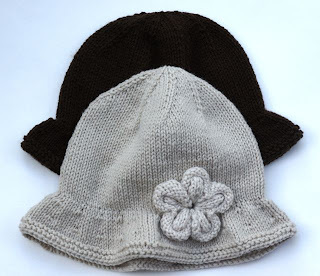 If you would like one, please email me at tete.a.tete.hats@gmail.com. There is never a charge for the hat nor the shipping! Summer Starts Off with a BANG! Wow! 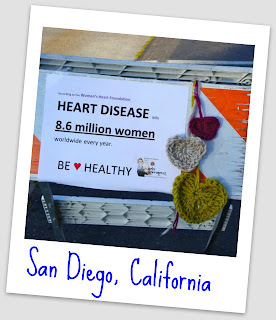 This morning, a HUGE box of hats arrived from the San Diego North Coast Knitting Guild. This is a wonderful surprise because I have tons of requests to fill right now. Thank you so much to all of my new friends at the Knitting Guild. Your hats will find good homes over the next week. I will post where they were sent once the packages are on their way. 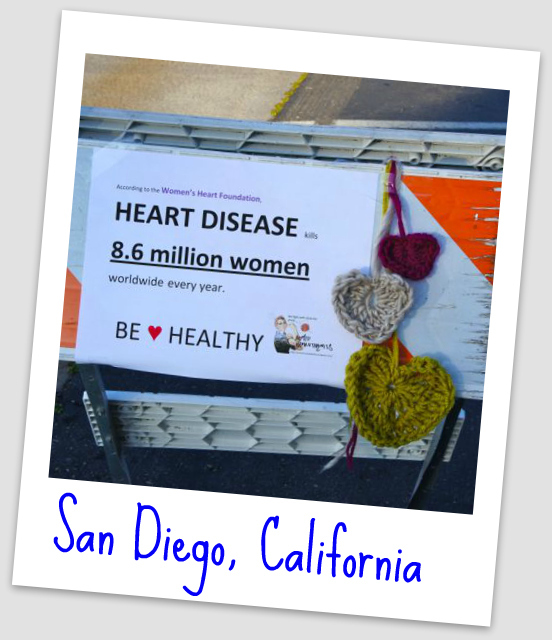 Thank you so much to all of the ladies at the San Diego North Coast Knitters Guild! 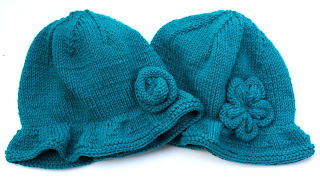 I am so lucky to have your support for Tete-a-Tete Hats and am looking forward to seeing all of the lovely hand knit hats that you will be donating. My friend Carol was the first to donate. My favorite is the orange/multicolor with the cute twirls on top! Jay just dropped off this cheerful bunch of hats. 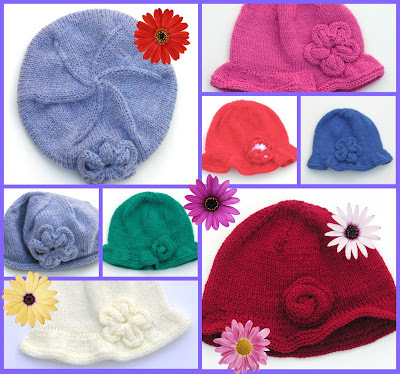 The brims and flowers are great for spring. My grandmother, G.G., sent these. They are very, very soft. 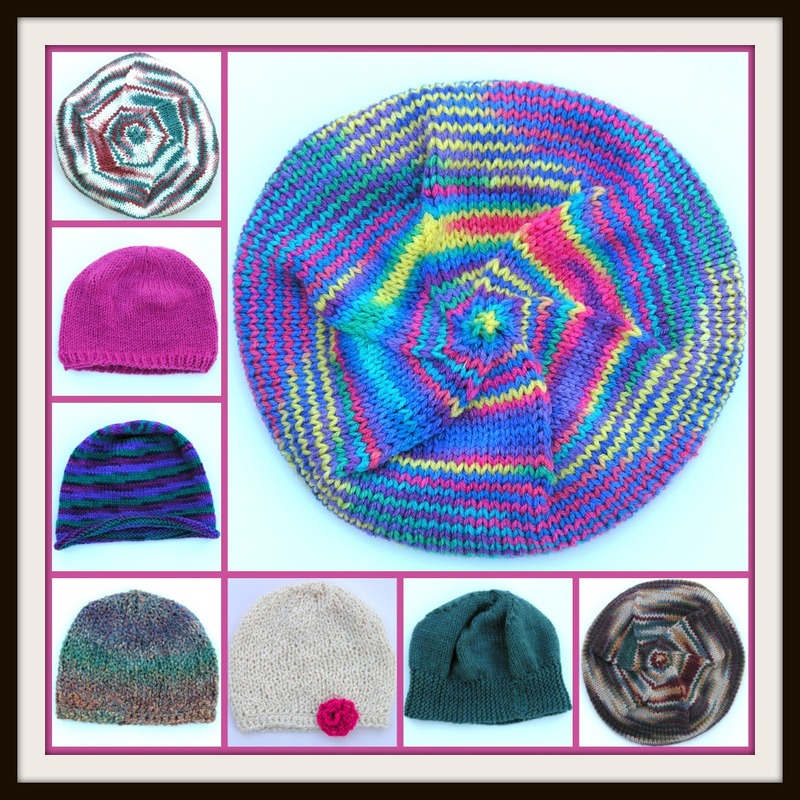 New Hats from My Wonderful Knitter, Jay! Jay dropped off several new hats and here they are! Thanks to Jay for all of her support. New Hats for the New Year! Thanks to Jay and G.G. for their adorable creations! 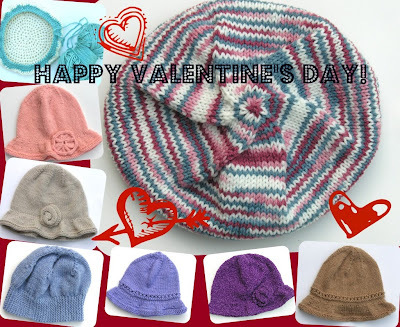 Please email me at tete.a.tete.hats@gmail.com if you would like one of these lovely hats! I just want to take a minute to thank everyone for their help and support of my special project. With your help, I have donated over 900 hats this year. I hope to top that next year and continue to expand my donations. 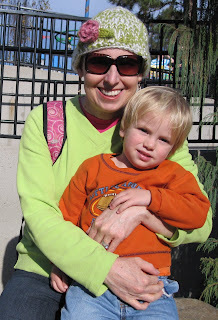 I received a very nice email from a new friend Teresa, who wears my hats. 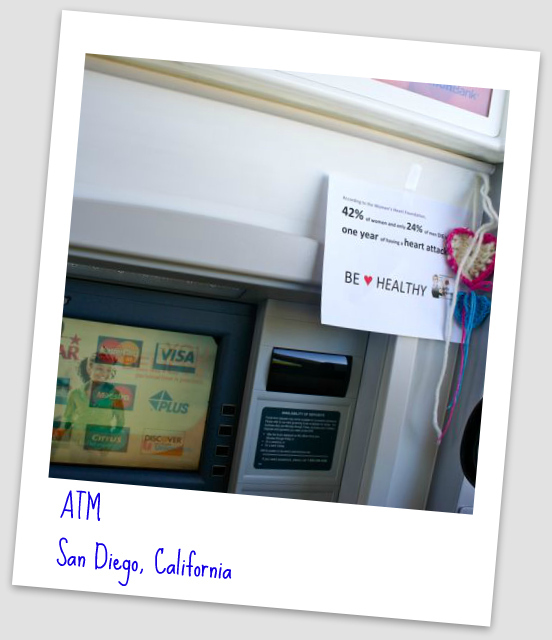 Here are some photos that she sent! I had a great visit with my friend Trisha, who also wears my hats every day! She stopped by my house and gave me a whole bag of goodies for the holidays! She also stayed a while and helped make fudge with my mom, sister, and some other friends. I am so grateful for all of the people that I have met and friends that I have made through my hat donations. I wish all of you a happy, healthy 2011! New Hats for the Holidays! A huge thanks to my friend and neighbor Jay for the beautiful hats that she just brought over to my house. The amount of time and attention to detail that she puts into each of her creations are an inspiration to knitters everywhere! 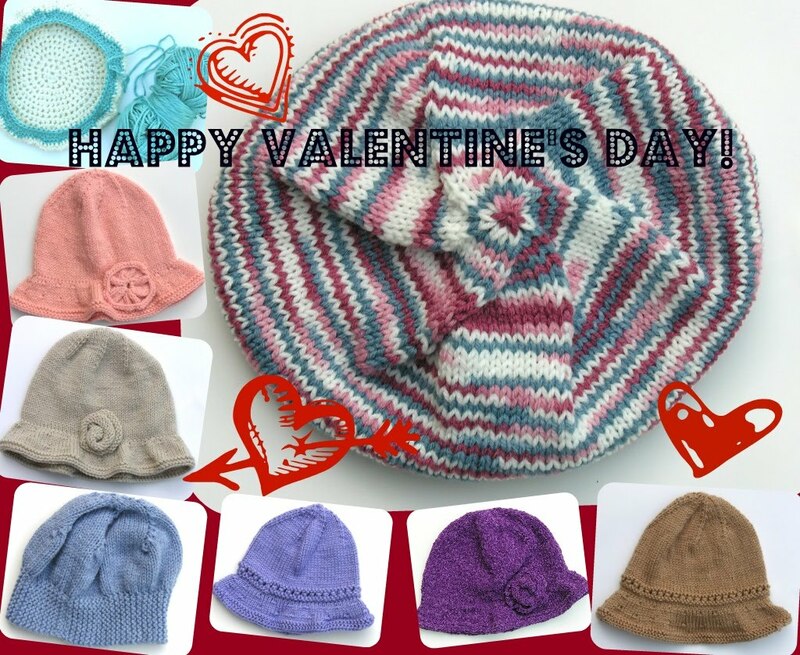 The recipients of these hats will LOVE them! Yay! I made my first hat delivery since my heart problems started! 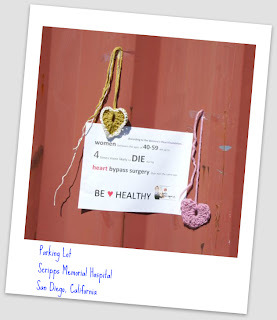 I have kept up with my hat knitting, but my schedule has been very full with doctors lately. Thank you to everyone who has inquired about my health. It looks like my arrhythmia is originating in the right ventricular outflow tract. That means that it should not be life threatening. Great news! I was able to stop taking beta blockers and am medication free. I'm hoping that I won't have to start taking anti-arrhythmia drugs, but that remains to be seen. Right now, I'm doing great and am back at school after missing six weeks. I'm scheduled to have a heart surgery on November 16th. If you are in need of a hat, please email my mom at sgerber@san.rr.com. 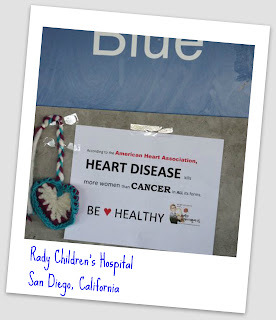 I'm still knitting while they figure out what's wrong with my heart, so feel free to let us know what you need!